I’m attending the Congress on the Future of Engineering Software (COFES) this week and while that might make for an interesting post in the weeks to come it also limits the amount of time I have for this week’s post. Apologies in advance. 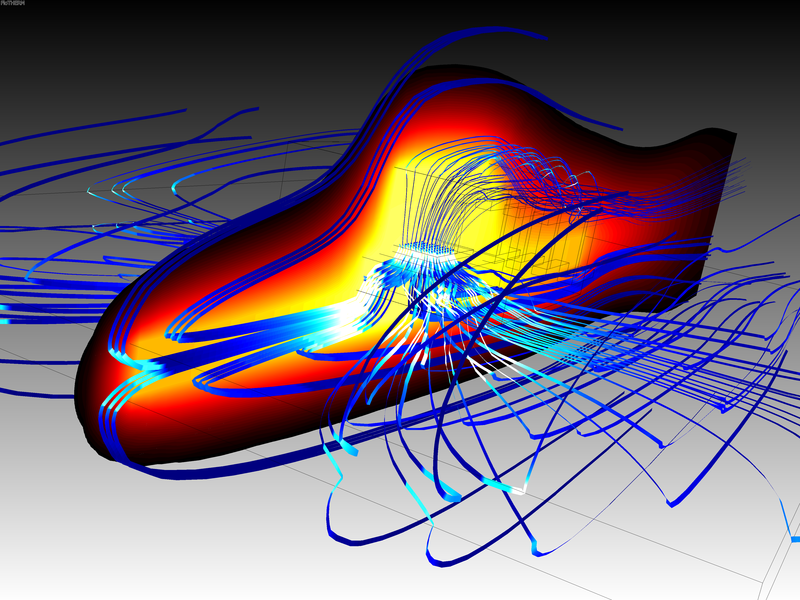 From the Mentor Graphics CFD blog, the heat flux through a surface-mounded TO263. Northwestern University wants to hire a Senior Computational Specialist. The CAD startup founded by former SolidWorks leaders got another $25 million investment for development of their product. A recruiter posted a notice about an open position for a CFD analyst in Knutsford, UK. Beta CAE released ANSA v14.1.0. Tecplot announced the release of Tecplot Academic Suite, a bundling of all Tecplot products for qualified academic institutions. 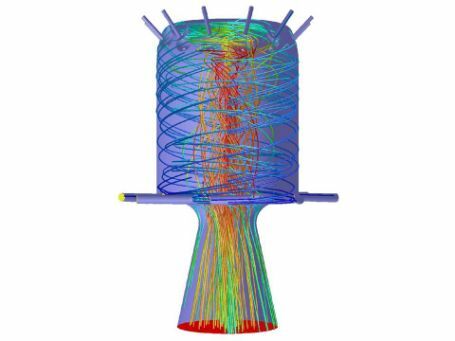 Learn more about Helios for use in rotary-wing CFD. Reaction Design updated FORTE CFD to include prediction of engine knock. The 4th bi-annual Metacomp Symposium will be held 17-19 September 2013 in Los Angeles. Symposium information is not yet available on Metacomp’s website. CEI (EnSight) teams up with CSI (Converge CFD) to simulate a wind farm. Orbitec is developing vortex cooled rocket engines. Image from SAE. 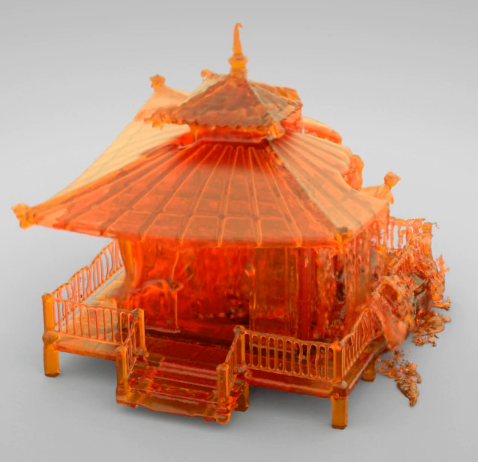 “Melting” and “pagoda” aren’t two words you expect to see used together when discussing fluid dynamics but Javier Moreño created a video of just that – a simulation of a melting pagoda performed with FLIP, fluid implicit particles for Houdini. Screen capture from Javier Moreno’s Melting Pagoda video on Vimeo. This entry was posted in Applications, Events, News, Software and tagged ANSA, CEI, COFES, CONVERGE CFD, EnSight, FORTE, Helios, jobs, Metacomp, Tecplot. Bookmark the permalink. Hey, John, I was expecting a note regarding Ciespace, http://www.ciespace.com. If I remember correctly, one you added a quick note about them. by the way, how do you feel about HP new ‘Moonshot’ being used for CFD, not the market they [HP] is looking for? Cesar, please be reminded that I had to rush that post due to travel! I’ll have something about Ciespace this week. And I’ll look into this Moonshot business too. Thanks.